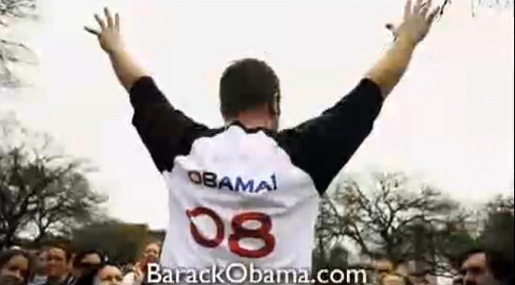 Barack Obama has launched a television advertising campaign in the lead up to the Super Bowl 2008, in preparation for Super Tuesday. “Join” calls on the American public to become part of a movement that can stop the war and save the environment. Obama provides excerpts from his campaign speeches over a rock soundtrack. “We want an end to this war. And we want diplomacy and peace. Not only can we save the environment. We can create jobs and opportunity. We’re tired of fear. We’re tired of division. We want stuff to do. We can turn the page. The world as it is is not the world as it has to be.” The final message: “Change begins with us”.